Andy Murray was crowned the BBC Sports Personality of the Year for a second time on Sunday 20th December 2015. 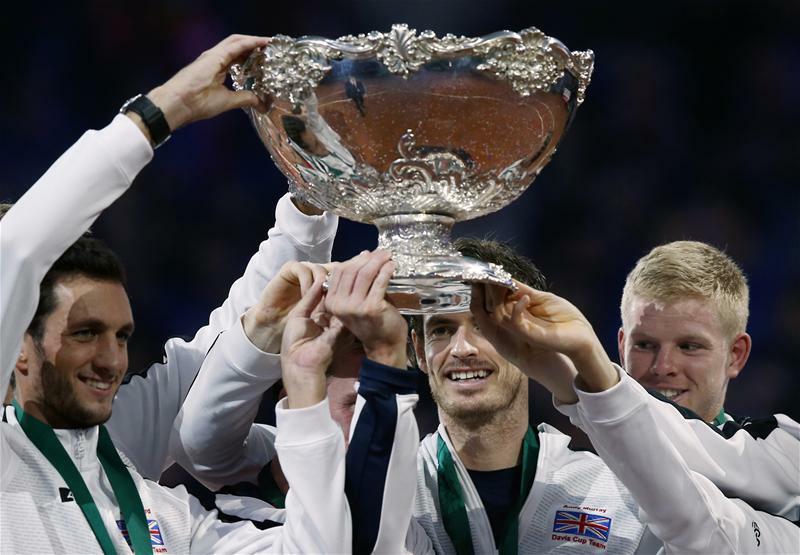 Taking over the crown from 2014’s winner Lewis Hamilton, the Scotsman was rewarded for the role he played in the historic Davis Cup win for Great Britain. It is a remarkable achievement for Murray to win the award twice in three years and it’s hard to argue with the public’s choice. Few would deny that sport in the 21st Century is a completely different phenomenon when compared to the past. Nowadays, virtually everything a sportsperson does is analysed, scrutinised and released to the mass media. News breaks across a variety of sources 24 hours a day. No act or comment can go unnoticed. Social media outlets such as Twitter, Facebook and Instagram mean that our sporting idols can speak directly to the public, removing the previously imposed filters that official interviews entailed. It is commonly believed that sports stars, particularly footballers, are more badly behaved nowadays than they were 30 years ago. But is this really the case? One could argue that whilst undoubtedly the “lad culture” within English football encourages a certain level of indecent behaviour, the only reason footballers nowadays have such a bad reputation is that all their antics are recorded. Whether it’s a camera phone, the glare of the paparazzi’s lenses or the constant spotlight of social media, they quite simply cannot get away with anything. The notorious heavy drinking and gambling footballers of the 70s and 80s found it far easier to hide their misdemeanours. How does this all link into the BBC Sports Personality of the Year? Simply put, it has never been harder to maintain a good image for a sportsperson. With their lives broadcast to the world, a sportsperson considered to be a role model must demonstrate not only the skill and passion to succeed but also behaviour appropriate of a role model – and they get very little time off for good behaviour. Gone are the days when a sports personality can hide their skeletons. Setting a good example is pivotal. Andy Murray has inspired a generation of young tennis players through his work ethic, humble nature and remarkable ability to compete with the likes of Roger Federer, Novak Djokovic and Rafael Nadal. Simply put, he is ideal modern sportsman, and one that kids can look up to as a true role model. If we want to encourage a healthy attitude to sport in the UK, it is crucial that those at the forefront of British sporting excellence transmit an exemplary image of sports professionalism, and such an image must be publically rewarded. For this reason, in 2015, the BBC Sports Personality of the Year award is as relevant as ever. If you’d like to watch Andy Murray play live in 2016 don’t hesitate to get in touch about our sports travel tours and tennis packages.